ellehermansen: Marina and the Diamonds: Hollywood! I honestly wish I wrote this amazing track. It's just that wonderful! 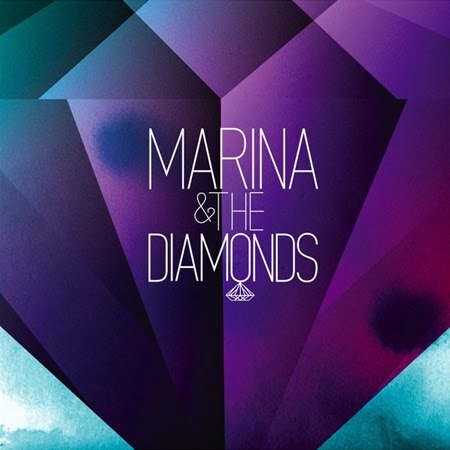 I've listened to Marina and the Diamonds for a while. This Wales-based singer didn't impress me the first time around with her song "I am not a Robot", as it sounded like another Regina Spektor wannabe (no offence). Her other track, "Mowgli's Road", got my attention, warmed me up, and made me want to listen to her a bit more, but THIS song - "Hollywood" - is actually such a brilliantly worked track. She showcases her low voice and wicked lyrics; "I'm obsessed with the mess that's America" Love, love, love! Enjoy her new track "Hollywood" below, and her MySpace here. whatever, I LOVE I am not a robot. ps. my boyfriend said "why isnt she more popular?" and I really don't have an answer. then he said her voice is a mix between shakira, dolores o'riordan and....some other woman....Christina aguilera maybe? I can't remember who he thought the third one was. anyway. I think its completly unique. She does look like Catherine a little bit too! Maybe she said that in the song so now we associate her to that star. Smart cookie, I say :) She will be getting super famous real soon. Maybe not with the Republican Americans right away, but it will pass and soon with another single, and hopefully she will reach Hollywood stardom.